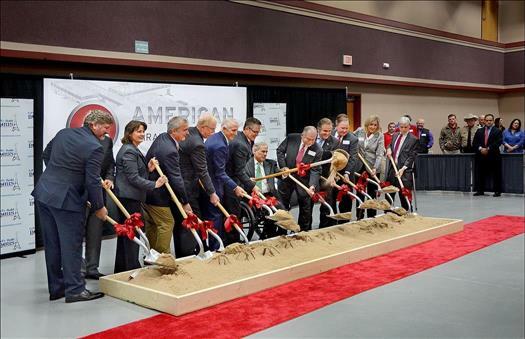 (MENAFN - Newswire.com LLC) Texas; Oklahoma; Tennesse; Arkansas; Louisiana, January 7, 2019 (Newswire.com) - The HWH Group, a full-service engineering, construction and consulting firm that provides finance, community development opportunities, site selection and a specialized New Markets Tax Credit incentives group, announced that American SpiralWeld Pipe Company is breaking ground on a 140-acre site in Paris, Texas for the Company's new advanced manufacturing facility. ASWP's parent company, American Cast Iron Pipe Company, was founded in Birmingham, Alabama in 1905 and is a manufacturer of ductile iron pipe, spiral-welded steel pipe, valves, and electric-resistance-welded steel pipe, and employees approximately 2,600 people globally. Texas Governor Greg Abbott attended and delivered remarks at the ASWP Groundbreaking ceremony held Monday, December 17. The Governor spoke about the positive economic impact of American SpiralWeld Pipe Company's investment, and the important role the Company's capital investment of more than $91 million dollars will play in creating jobs and diversifying the economy. Along with other significant state and local incentives, ASWP was also awarded a Texas Enterprise Fund (TEF) grant from the Governor's office. 'This is a big day for Paris, Texas, and it's a big day for the state of Texas,' the governor said when he took to the stage at the event. 'This project is an example of the economic success stories we have had in the state of Texas,' Abbott said of ASWP. American SpiralWeld Pipe is highly regarded as a pioneer in workforce development and provides award-winning programs in profit sharing, apprentice training, onsite personal wellness, and professional development. For 8 consecutive years, Fortune Magazine ranks the Company in the 100 Best Companies to Work For. HWH Group arranged for $30 million of federal New Markets Tax Credits with an allocation from three community development entities. Additionally, HWH was selected as the Design-Builder for the project, already resulting in a $20 million savings to the project. HWH has provided the due diligence on the environmental, site work and facility layout, managing and coordinating the design and engineering process, and will be involved with the scheduling, coordinating, and the installation of the owner-supplied and OEM process equipment. More information can be found at www.thehwhgroup.com .